Lunapark combines acoustic jazz and electronic soundscapes with formal and harmonic structures of european music. The band manages to be unplugged and plugged-in at the same time thanks to guest contributor Leon Gruenbaum, a New York based electronic musician and sound inventor, known as bandmember in the outfits of guitarrists James “Blood” Ulmer and Vernon Reid. All compositions on the new album are by bassist/leader Gerhard Graml and were drafted in the last five years for various ensembles and instrumentations. 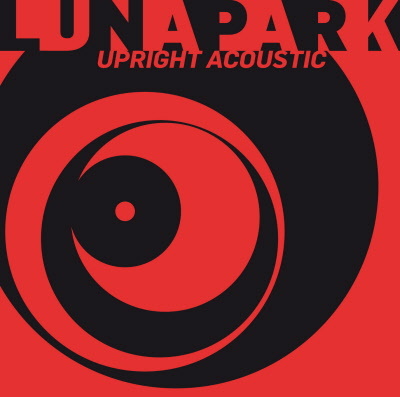 After Graml’s involvement in various recording projects, world music, jazz standards and contemporary orchestral music among them, “Upright Acoustic” is the third album of his Lunapark project. Well aware of musical tradition as well as looking forward through experimentation “Upright Acoustic” delivers yet another cinematic collage of rhythmic transparency and melodic density. The new release of this european-american team heavily rely on Graml’s versatile musical motives that thrive on the energy and drive of modern jazz, while in lyrical moments carefully crafted themes touch on chamber music. Add the creative sound, where oscillating strings meet oscillating electric circuits.